Sophisticated and elegant – or glitter and glitz? Give a gift that is remembered also for its package. Thanks to distinguished, high-quality material choices, we can utilise innovative design solutions which will be remembered for their look and feel. Pyroll Packages have a wide-ranging experience about various premium packaging solutions which combine high-level materials, effects and smart digital features. The end result: unforgettable gift packages! 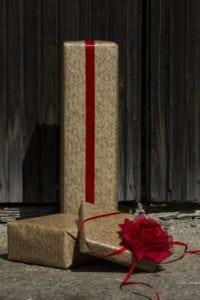 Pyroll is a manufacturer of domestic Christmas-season papers and wrapping papers. In addition to domesticity, our papers have a unique advantage of being recyclable, which is achieved by using water-based printing inks. We produce gift wrappers and bags with our standard patterns, as well as with the customer’s own prints. We can also provide sulphite and silk papers and FSC certified paper products / plastic bags with Finnish Key Flag Symbol. Ask for material-independent campaign solutions for any events!